Sonnet 73 in the 1609 Quarto of Shakespeare's sonnets. Shakespeare’s Sonnet 73 is the third of four poems concerned with aging (Sonnets 71-74). It is also hailed as one of his most beautiful sonnets. The speaker in the poem suggests that his lover will love him more, the older he gets because his physical aging will remind him that he will die soon. Alternatively, he could be saying that if his lover can appreciate and love him in his decrepit state then his love must be enduring and strong. You can read the full text to Sonnet 73 in our collection of Shakespeare’s sonnets. He explains that the sun (or life) in him is fading and night (or death) is taking over - he is aging. However, he knows his lover still sees a fire in him but suggests that it will go out or that he will be consumed by it. He knows his lover sees him getting older but believes it makes his love stronger because he knows that he will die soon so will appreciate him while he is there. The sonnet is somewhat tragic in tone because it is based on wishful thinking: as I get older, I will be loved more. However, it could be saying that even though the lover can perceive his aging, he loves him regardless. The tree metaphor works beautifully in this case. It is evocative of the seasons and relates to the different stages of life. This is reminiscent of the “All the world’s a stage” speech from As You Like It. 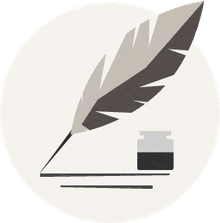 In Sonnet 18 the fair youth is famously compared to a summer’s day – we know then that he is younger and more vibrant than the poet and that this concerns him. 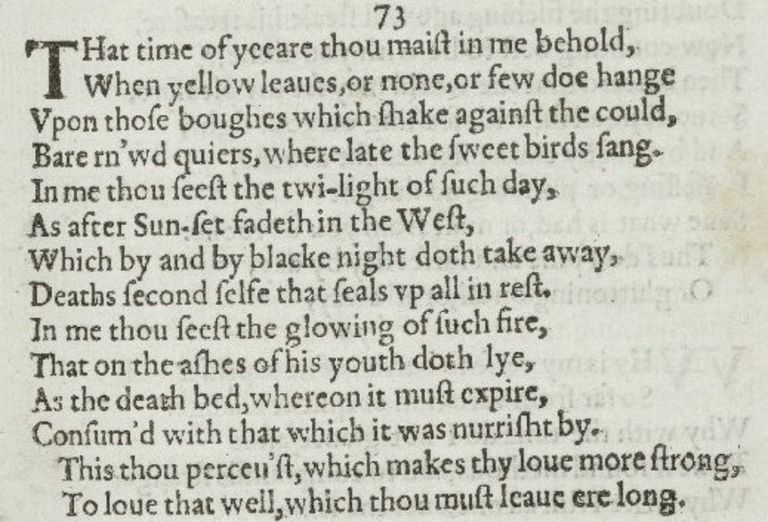 Sonnet 73 contains many of the reoccurring themes in Shakespeare’s work concerning the effects of time and age on physical and mental wellbeing. The poem could also be compared to Sonnet 55 where monuments are “besmeared by sluttish time”. The metaphors and imagery are pungent in this evocative example of Shakespeare’s mastery.